The purpose of the investment is to build a wet desulphurization plant, with a limestone filler, for combustion gases discharged alternately from boilers 5 or 6 – Combustion installation no. 2 of CET Govora in order to align with European legislation on the limitation of air polluting emissions of certain pollutants from combustion plants, in accordance with Directive 2010/75/EU transposed in Romania by Law 278/2013. • testing, commissioning and Beneficiary personnel training. 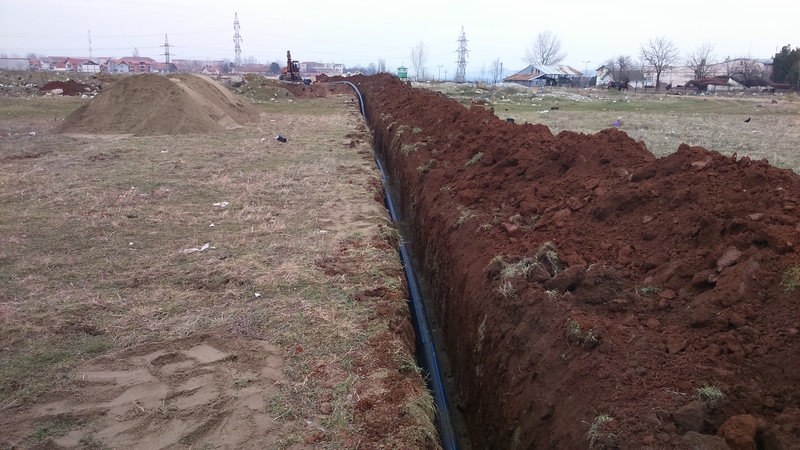 • design and execution of primary thermal network, 2.1 km long. 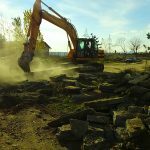 – demolition and replacement of the boiler feed system. The contract foresees design and execution works for the rehabilitation of the insulation at the DN 1100 main heating pipe line connection. Most of the airways have thermal insulation in an advanced degradation state, practically acting as uninsulated pipes, which leads to significant heat losses. It is desired to isolate them with mixed polyurethane foam and rock wool reinforced with fiber glass and epoxy resin. • installations testing and commissioning. • the acquisition and installation of 44 thermal modules for the preparation of heating agent, including connection to existing installations related to the consumer so as to ensure the proper functioning of the system. • supplying PT 51, PT 52 thermal points through a new branch, continuing the transport network starting from PT 45; the newly proposed primary network route was carried out through a heating connection from PT 45, on the street of Lt. Tănăsescu, Războieni street, An revoluționar 1848 and Longinescu street, with a heating connection to PT 52 and a takeover PT 51 . 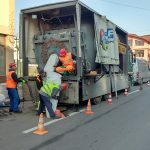 • supply of PT 47, PT 48, PT 54 thermal points by creating a new section that goes from PT 2 on Tinereții Street until it intersects with the existing connection to PT 47 on Piața Victoriei square gyrating. • design services: topographic studies, geotechnical study, project for obtaining approvals (PAC), Technical Project (PTh), Execution Details (DDE), Control Program, Site Security and Health Plan, Environmental Management Plan, As-Built Documentation, and Technical assistance from the designer. • construction works: resistance (excavation, execution of fixed points, execution of manholes, rehabilitation of roads), thermomechanical technological installations (installation of preinsulated steel pipes, defectoscopic analysis of pipeline welds, pressure tests, decommissioning of old pipelines) and pipeline status monitoring (damage detection system, humidity sensors for detecting and locating damage caused by humidity). The physical capacity of the new pipeline sections is 630 m (1260 m pipeline) and will serve approx. 10,000 inhabitants, replacing the old oversized networks that recorded huge energy losses. execution of wastewater pumping stations. • SCADA and pumping station, chlorination, water treatment in Gura Văii, with total design. 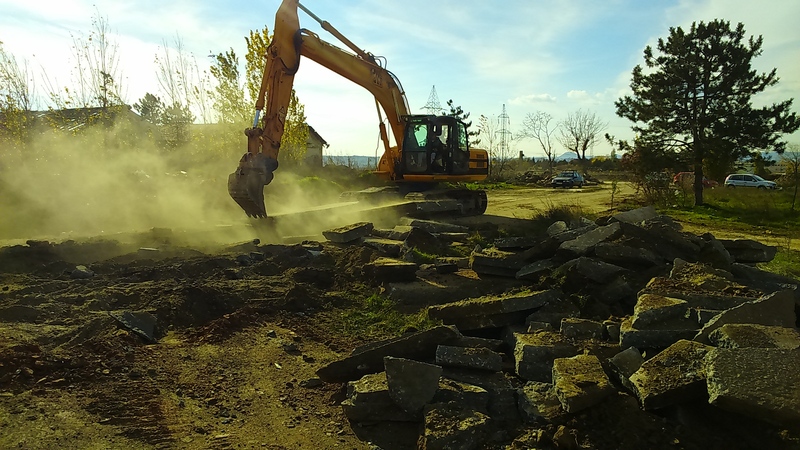 • construction of a central dispatch center and 92 monitoring and transmission points on the water and wastewater networks, monitoring points that will be integrated into SCADA (COR) -Tîrgu Mureș. 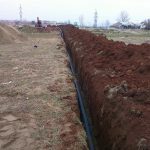 – Pipes / collectors (suction pipes, duct / discharge manifolds, priming plant, exhaust system, aeration-deaeration connection pipe defense dam). • Medium Voltage and Low Voltage electrical installation works, automation and surveillance (outdoor lighting, indoor lighting, atmospheric discharge protection, 6kv pumping aggregates, electrical automation panels, CCTV). – aspiration-discharge technology line Qp. = 5900 mc / h.
rehabilitation works for the electrical and automation installations. – medium voltage electrical works: connections and transformation stations. 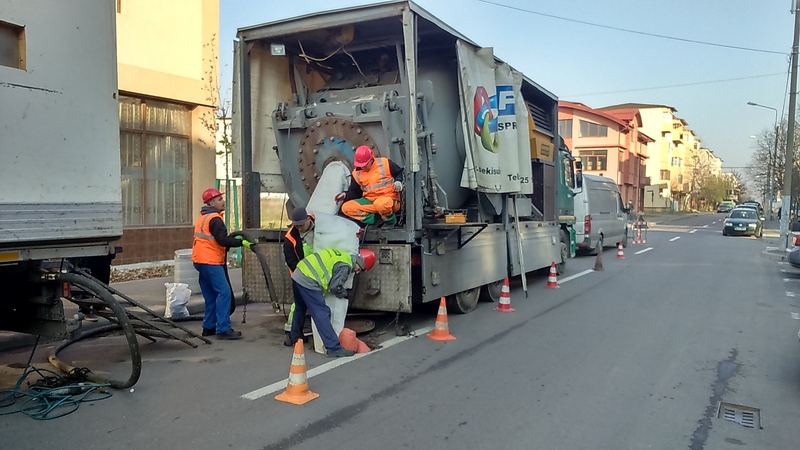 The project aims at carrying out works in water and wastewater infrastructure in 22 territorial administrative units in Galați county, including the municipalities of Galaţi and Tecuci and the town of Bereşti.